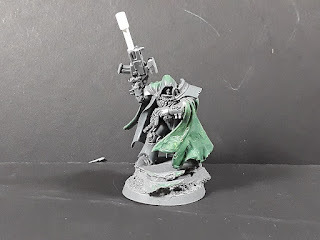 Mordian 7th Regiment: Heresy Era Dark Angels - Vigilator built! 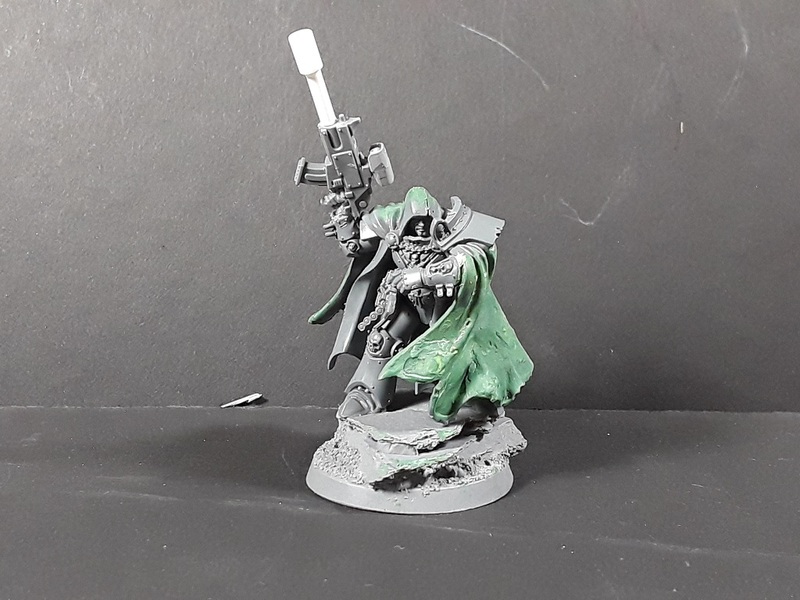 Not a huge amount of hobby time over the last week, but did manage to squeeze in a build for another character for the Dark Angels. I thought a Vigilator could be a cool addition to the force, if for no other reason than I've never done one before in any of the other heresy armies! 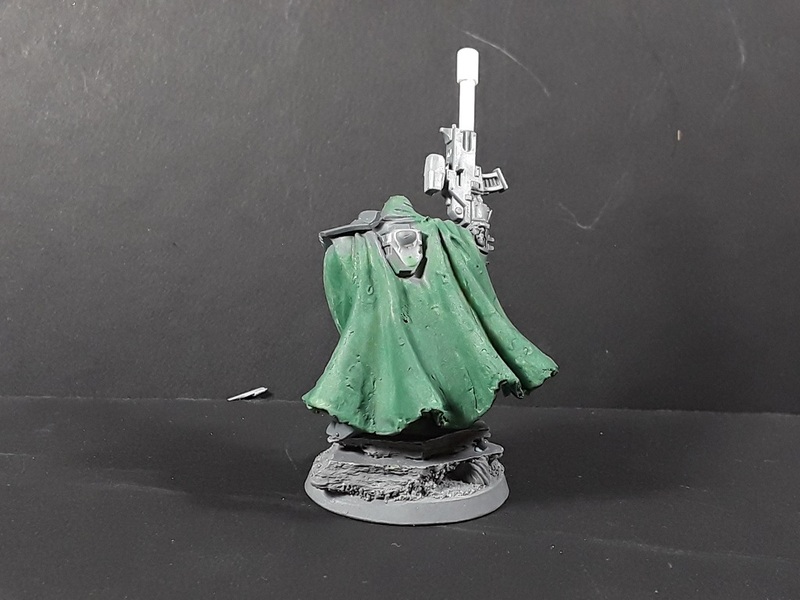 Based on the new Cypher model (obviously), I built a sniper-pattern bolter for him using some styrene rod and a scope, and tried to clean up the cloak a little bit using some ham-fisted greenstuff work to patch up some of the more egregious rents and tears in the cloak, as well as cover over the removal of the Lion's Sword from the back. There's several passes of liquid greenstuff to smooth things out as well, it's interesting how rough it looks in the photo when it's rather smooth in the flesh. We'll see how it turns out after primering, I suppose! 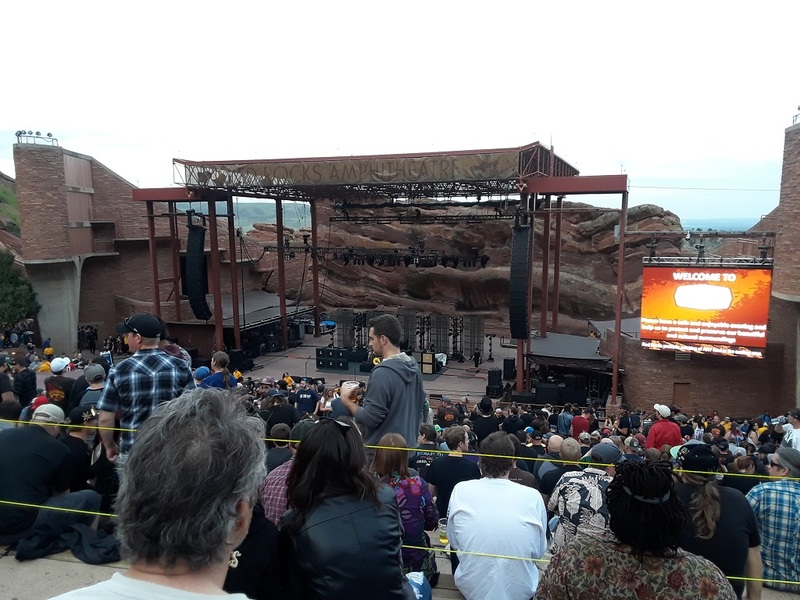 Part of the reason for the lack of hobby progress was down to a weekend concert and hangout with some old friends down at the always-spectactular Red Rocks Amphitheater in Morrison, CO. 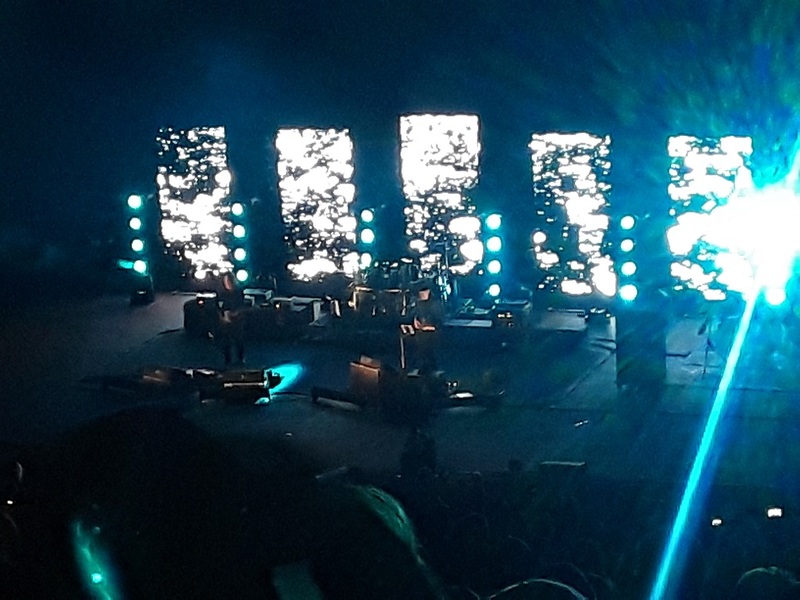 Hands down the most breathtaking place to see a concert in Colorado, and perhaps the nation! 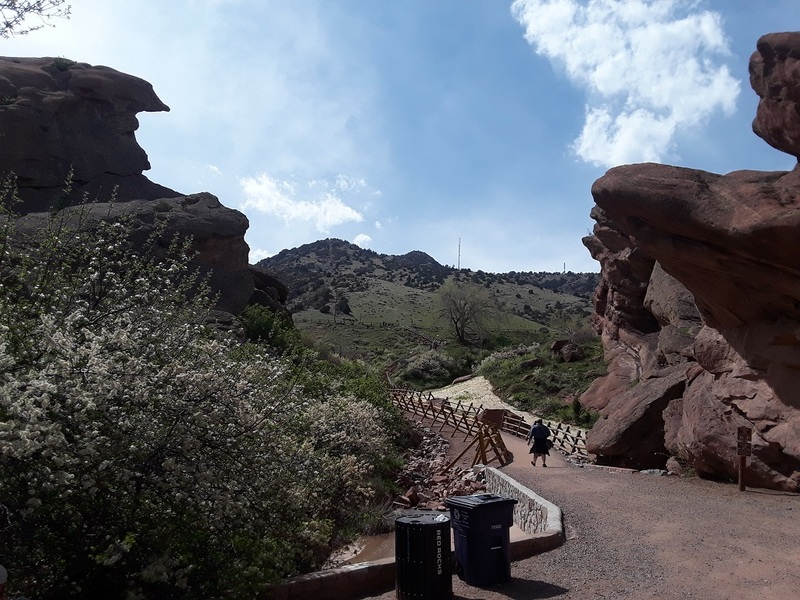 Beautiful weather, awesome views and good friends - How can you go wrong? 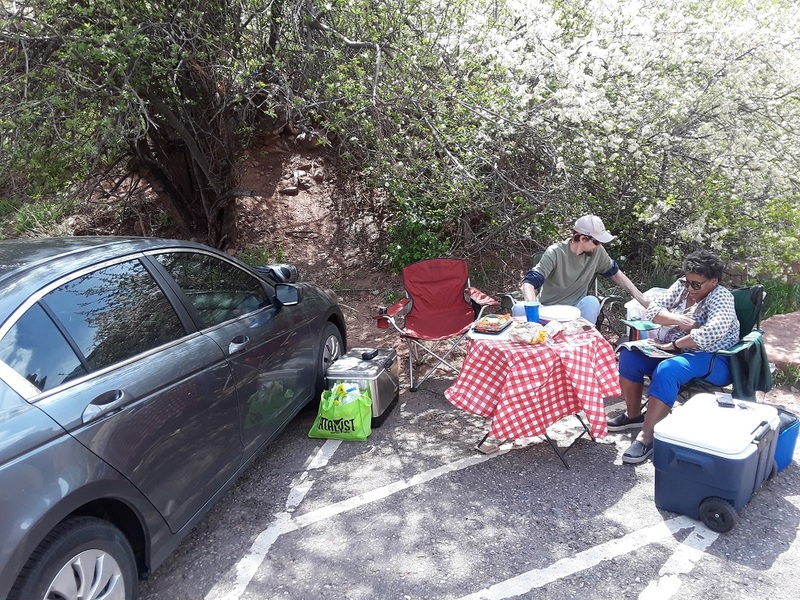 If you're gonna tailgate before a show, sometimes you gotta take it up a notch! 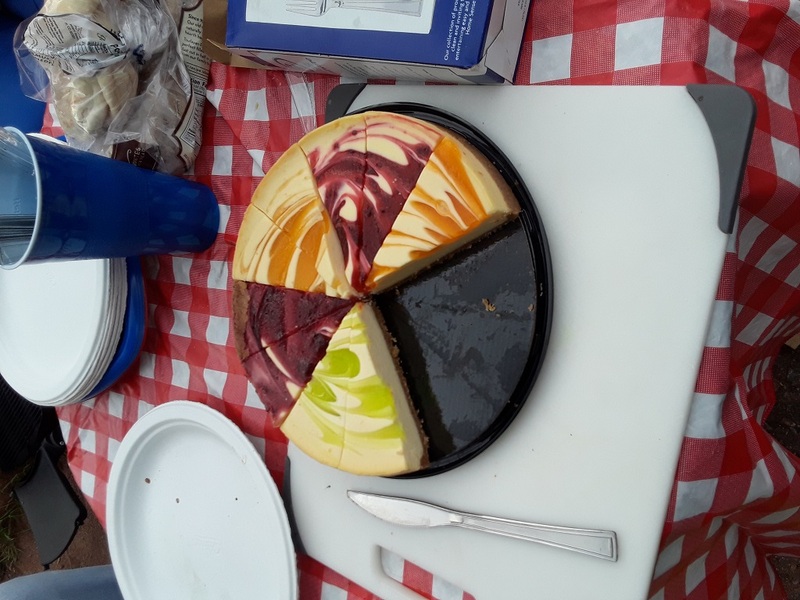 Some perfectly medium-rare beef tenderloin, asparagus, and cheesecake (not to mention some quality beer, cider and scotch for afters)? Yes please! 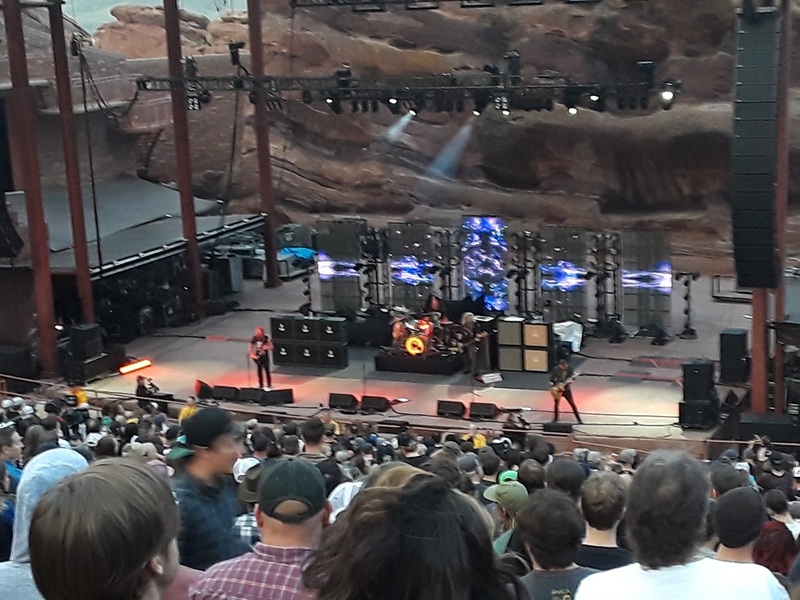 Ended up having pretty darn good seats for the show, the lineup of the evening was the thunderous Mastodon (somewhat less spectacular visually for playing before sundown, but they rocked), followed by my favorite band of all time, Primus! All in all an absolutely top-notch way to spend a Sunday! 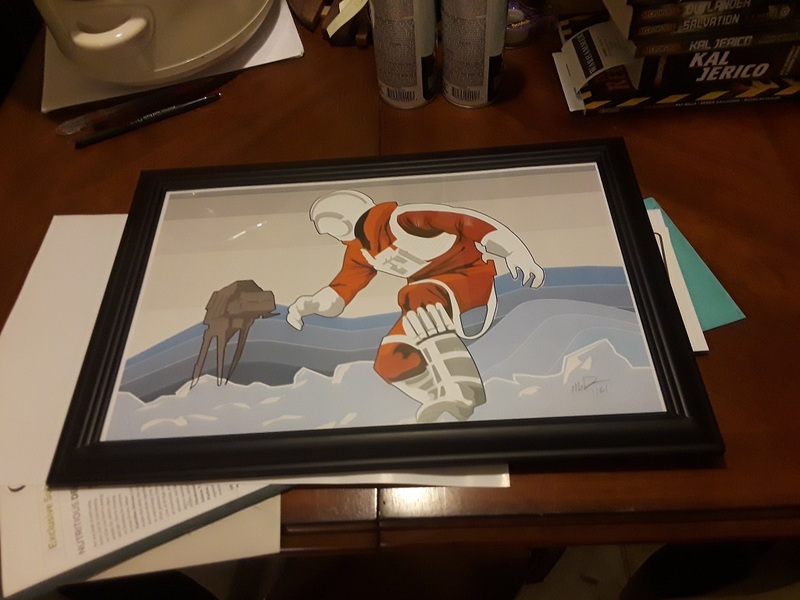 In other, other news, my good buddy Matt Dougherty did up some art prints to celebrate Star Wars day and I was happy to get a hold of the 1st print. Got it framed and it'll have pride of place up in the hobby loft with some of my other nerdy art! Hah! 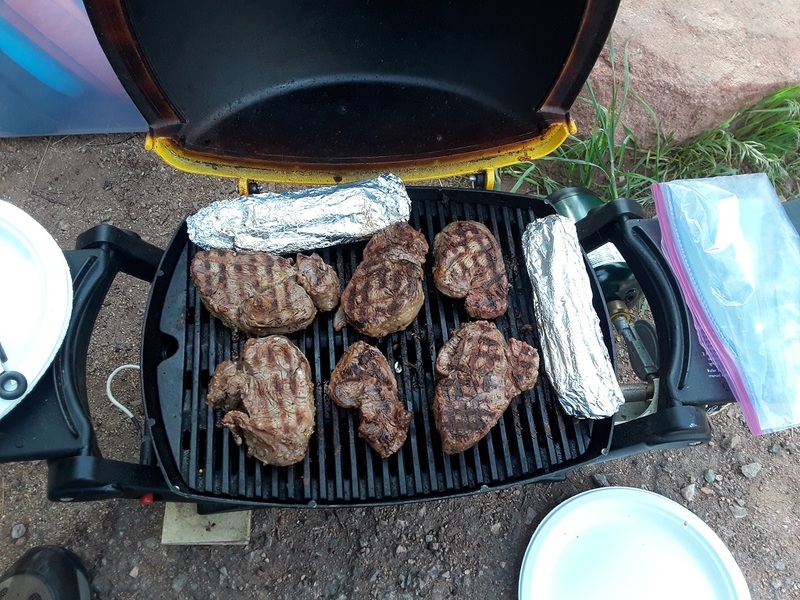 The steaks were a particular success! yeah that's one fine looking amphitheater!! 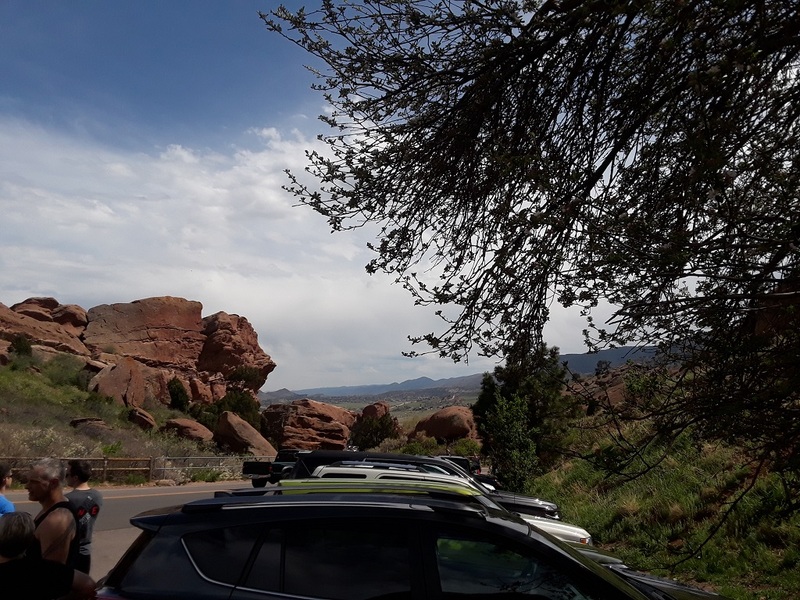 Indeed - Red Rocks is just stunning. That GS work looks far better than you give yourself credit for mate. Can only hope to do as well on the cloak I plan to add to an incomplete FW Inquisitor I picked up for stupid cheap. Haha - Hard to go wrong with that combo! Thanks man, Never been much of a GS sculptor myself either, but practice makes perfect! Thanks bud! Good times and good stuff all around! Nice conversion! Good to see Cypher getting "redeemed" by joining a proper Dark Angels force!